This orchard, across from Strom Thurmond High School, was a sea of pink on Friday, 3/9. 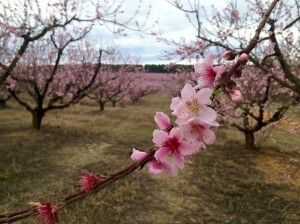 Do you have pictures of this year’s peach blossoms that you would like to see published here? Email them to news@edgefieldadvertiser.com with your name and location of the orchard. Also, if known, please include the peach variety. We will pick the best pictures and post them.